On the last weekend, the students from Setouchi Udon course at Morning university of Marunouchi visited our H.Q. in Kagawa as their field workshop. Mr. Okahara gave a lecture on the history and the making process of Sanuki Udon followed by the last class in Tokyo. And also, they took a special Udon class to experience how to make real Sanuki Udon dishes and had them for lunch. We teach how to make the authentic Sanuki Udon which can impress people with even just one bite at our school, so that we hope they found the difference of the texture and taste. 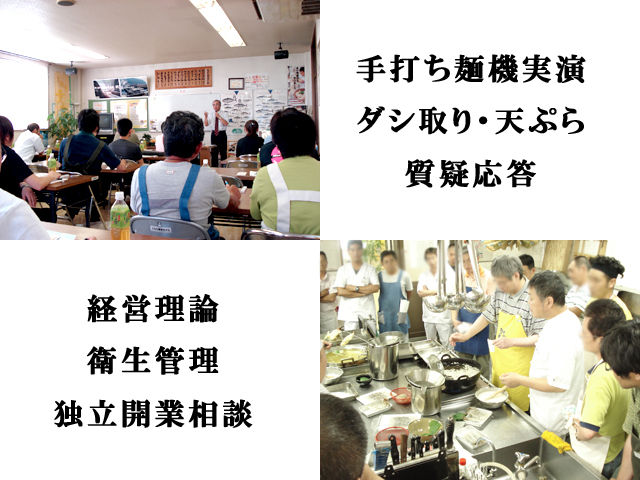 This course is run also by Mitoyo-city, Kagawa. So, we really hope more people get interested in Mitoyo-city and Kagawa prefecture through this experience. Thank you for coming and visiting us!